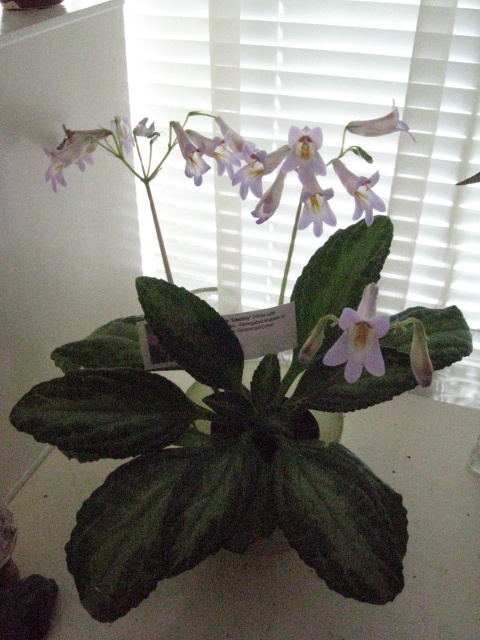 Gesneriad: a member of the botanical family Gesneriaceae, an increasingly popular group of house plants. From the familiar to the less-known, from African Violets to Chinese and Vietnamese Violets, from florist Gloxinias to dependable Goldfish plants, there are many worth learning about and growing. Society: a group of friends who work with these plants. Our annual activities include informational meetings, workshops, and co-sponsorship of plant shows and sales, in collaboration with local African Violet clubs.